However, the cuts do not amount to 24 minutes, as alleged by some on Malaysian Twitter. 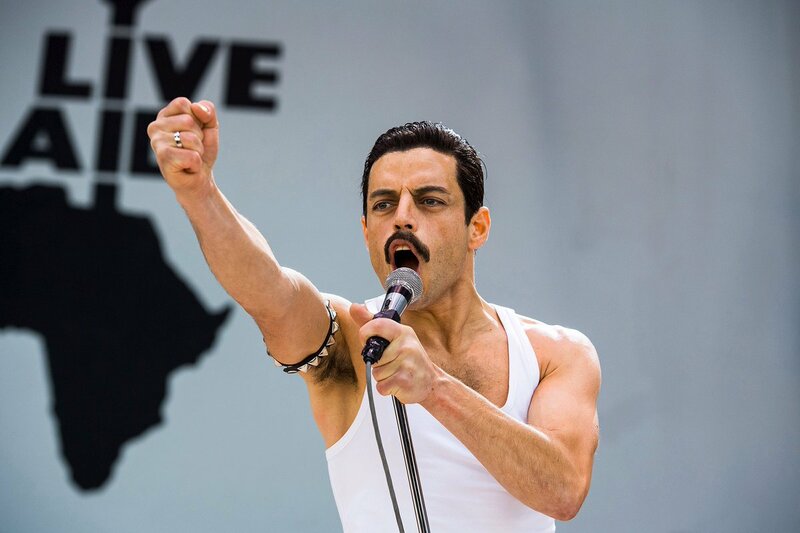 Rami Malek as Queen frontman Freddie Mercury in 'Bohemian Rhapsody'. It all started with a couple of tweets. 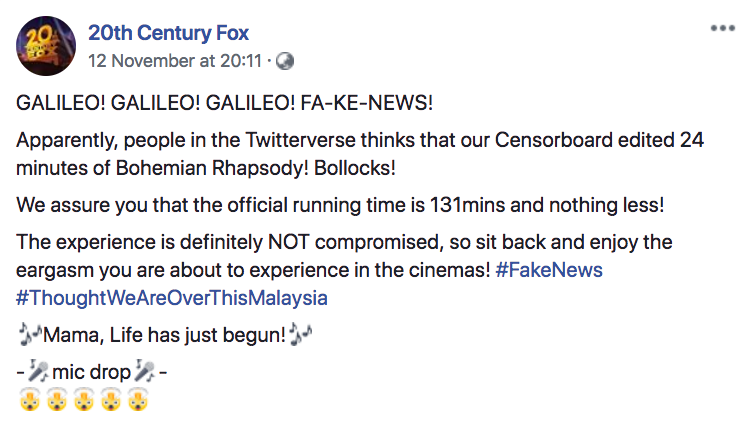 According to Malay Mail, some Malaysian moviegoers took to Twitter to express their dissatisfaction with the Film Censorship Board of Malaysia (LPF), claiming that up to 24 minutes worth of key scenes - especially those deemed homosexual in nature - were removed from the movie's 134-minute runtime despite its 18 rating. The movie is rated PG-13 in the US and UK. News of the purported heavy censorship spread like wildfire, and was soon picked up by international media like Independent UK, NME, and UltimateClassicRock. LPF later confirmed that it had cut 12 scenes from the movie, four of which involved "gay moments", amounting to about 180 seconds worth of cuts. It added that the cuts were necessary despite the 18 rating, as the movie would have been banned in Malaysia otherwise. Curious, I thought I'd try to figure out which specific scenes were removed from the local cut of Bohemian Rhapsody. WARNING: Spoilers ahead! Only proceed if you've already seen the movie or don't mind spoilers ok. 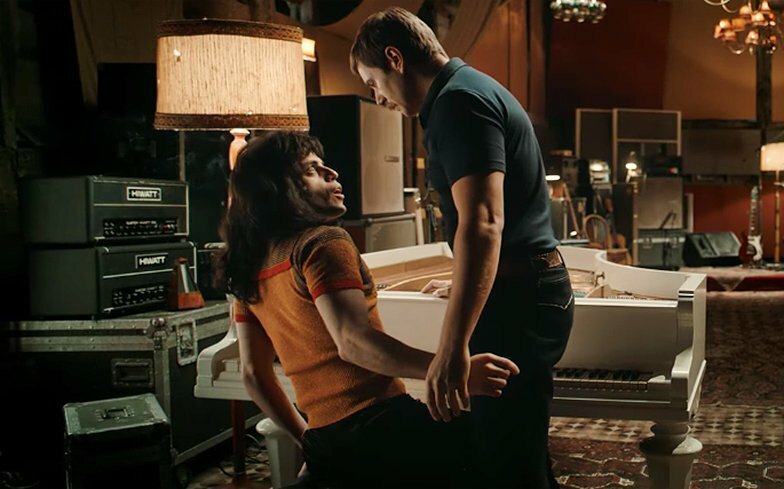 In Malaysia, the scene cuts out just after Paul (played by Allen Leech) says "If you say so" in response to Freddie explaining that the song is written for and dedicated to his then-fiancée Mary Austin. The scene resumes right after the supposed kiss (Paul: "I know who you are, Freddie Mercury."). The scene is briefly featured in both the official trailer and final trailer of the movie. 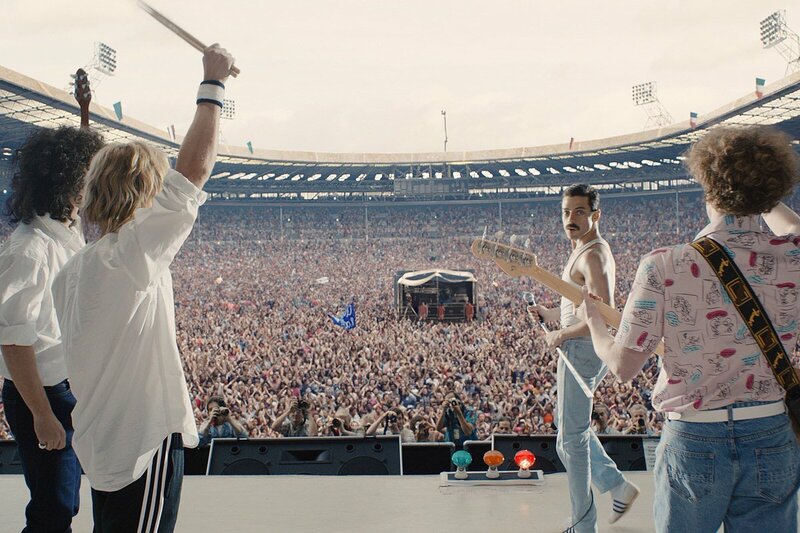 After showing Mary (played by Lucy Boynton) the massive crowd in Rio singing Love of My Life and prompted to address the elephant in the room, the scene cuts out just after Freddie says, "I've been thinking about it a lot." According to Billboard, Freddie cautiously looks up at his soon-to-be-former fiancée and says, "I think I’m bisexual." She then responds, almost pityingly, with, "No, Freddie. You're gay." 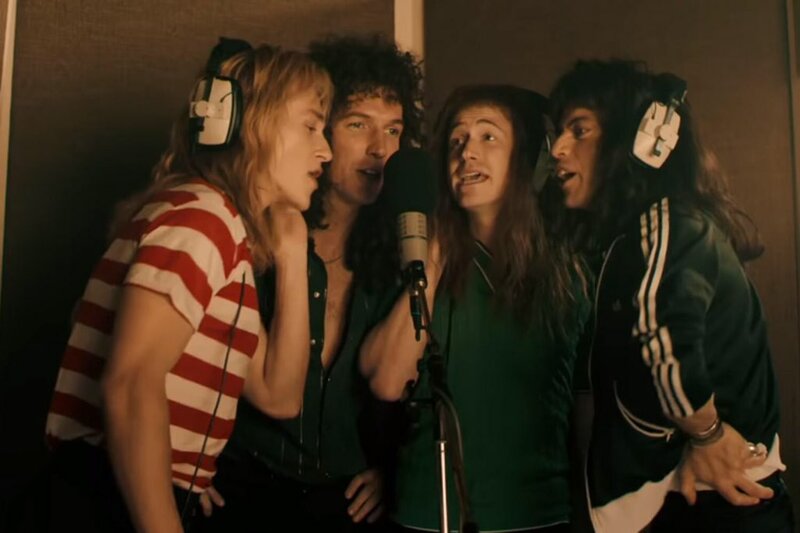 It may just be a couple of lines removed from the scene, but what was supposed to be an emotional scene left Malaysian moviegoers - especially those who aren't familiar with Freddie Mercury's life story - confused instead. Freddie: What do you think? 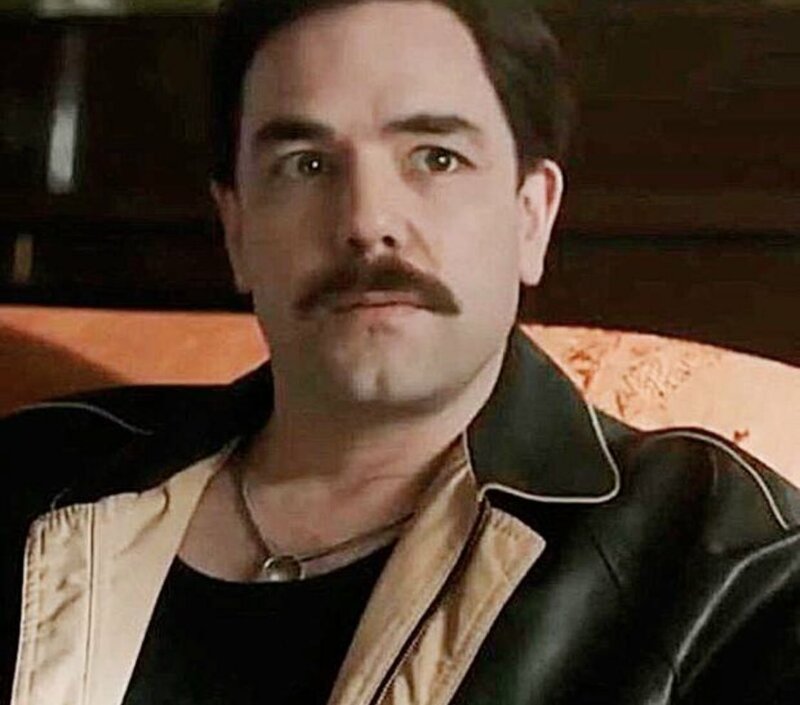 *Roger: [looks at Freddie's moustache] Gayer...? In fact, a bulk of the three-minute cut came from this sequence. 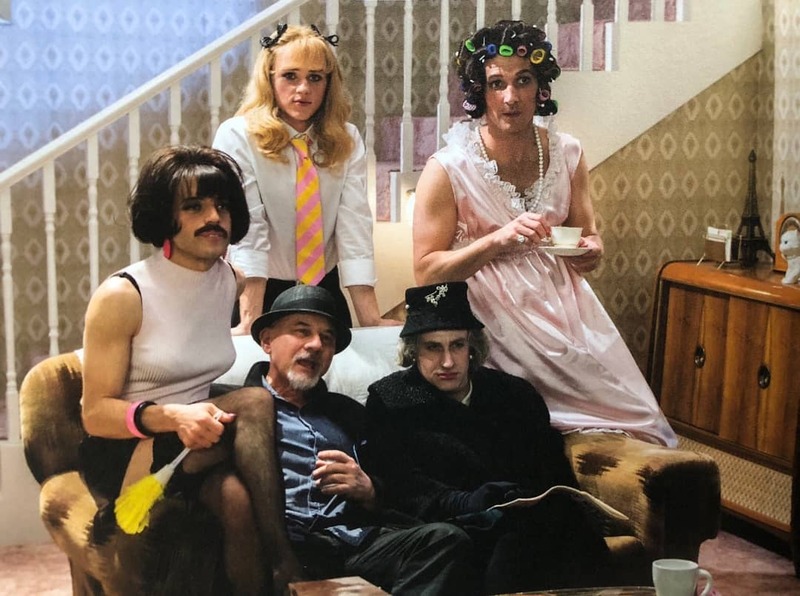 We didn't even get to see the first time they met, in which Freddie drunkenly hits on Jim as the latter and a couple of other servers cleaned up the aftermath of the wild party at Freddie's mansion. To Freddie's surprise, Jim rebuffed his advances ("Put your hands on me again and I'll thump ya"), prompting the rock god to apologise profusely for his behaviour. In the next scene, the duo sat down for a brief conversation and even shared a kiss. It was a pretty fun sequence too. No thanks to the cut, the subsequent scene in which Freddie rants about getting the blame for dressing up in drag and the music video's MTV ban would make very little sense to viewers who aren't aware of the music video's existence. If you're curious as to how the scene played out, a bootleg version can be found on Tumblr. Not sure what was the point, as you could clearly see Freddie mouthing it... as well as in the subtitles. After the couple and Jim left the band's trailer, Freddie asked the band what they think of David. 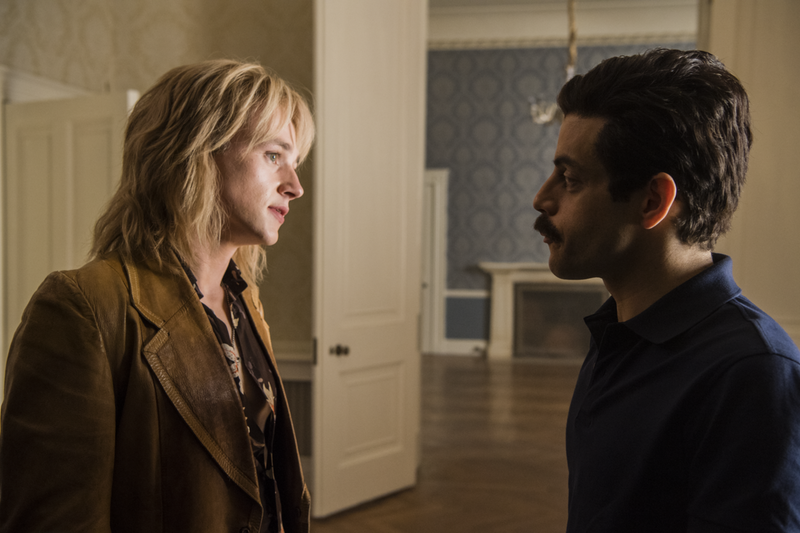 Brian May (played by Gwilym Lee) said, "He's alright," to which Freddie remarked, "I think he's gay." Its removal was confirmed by LPF chairman Mohd Zamberi Abdul Aziz in an interview with Malay Mail. Now, for the ultimate question - is it still worth catching in the local cinemas? Personally, I'm all for Team HELL YEAH. Having seen it twice, I can testify that there's nothing quite like witnessing the musical spectacle of the last 20 minutes on the big screen with surround sound. Seriously, the magnitude of the Live Aid concert is not gonna be the same if you were to watch it at home. With nearly 18 million plays on Spotify, Alex Bong, also known as alextbh, is definitely a force to be reckoned with.